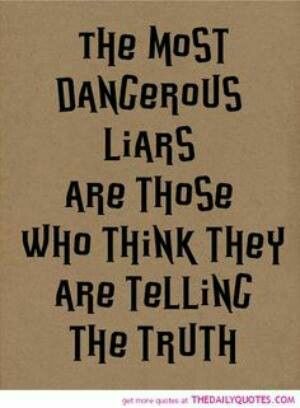 Speaking of lies and people exposing them: apparently Russian President Putin is one of those exposing the lies. In the Free Thought Project we can read where Putin shared intel revealing that 40 countries, many in the West, have directly contributed money to the Caliphate, either through grants or “loans” or by buying things from them. The biggest shock to the world as a whole is no doubt the fact that Syria itself is buying oil from the Caliphate. (Honestly, that is business as usual in wartime, especially in Ummah; the histories record that the Muslim occupiers of Canaan (“the Holy Land”) were major customers AND suppliers of the Crusader armies and pilgrims, in between battles. The Moors who conquered Spain and held it for much of six centuries were notorious for their booming trade with other western nations and the very Spaniards fighting against them. Of course, it isn’t limited to Muslim lands: where do you think Union soldiers got most of their tobacco from during the War Between the States? And where did most CSA soldiers get coffee? I imagine the trade in whiskey was even MORE enthusiastic!) But the list lends credence to the idea that the Caliphate is as much a tool of the West (the NATO powers and Israel) as the Shah or the kings of Jordan were/are. Russia has nothing to lose and much to gain from exposing the lies of the West, especially of that guy squatting in DC. At the same time, it seems that Russia and at least SOME Amis in theatre are at least WILLING to talk and not start shooting at each other. Army Times reports that there is now SOME cooperation between the FedGov and Russia in Syria, and even working together (at arm’s length) against some rebel forces which are obviously Islamist. They say it is just for the sake of safety. I don’t get it. If Russia is such a hideous warmonger, why should they mind losing a few pilots if they can take out an Ami plane and pilot (or even Brit or French) at the same time? Don’t they lust after war the way the West seems to? Mama’s Note: I suspect it is much more complicated than that. While some may truly desire “war,” regardless, I think it pretty much always boils down to the lust for control. Control of other people and their property, the most addictive and destructive force in the world. Now THAT is a claim I can laugh at. IF the weapons had been purchased AND made it to the troops, how many of the troops would in turn (as in Mesopotamia and Syria) give or sell the weapons to the very thugs that they are fighting? And really, not giving the guns to soldiers (we ARE talking about Nigerian soldiers here) would actually REDUCE deaths because the soldiers wouldn’t be killing anyone? Honestly, people, the best way to spend money for arms is to let people buy their own – and let charity groups DONATE guns (or money to buy guns, but guns are better) to people who can be shown to be reliable. People may recall the Liberator pistol from World War Two: let us make a new version of that, a couple million of them for about ten bucks each, and with a five pack of ammo, drop them together with OTHER humanitarian supplies like food and clothing. Sure, a few will end up in the hands of government or other thugs, but even a few hundred in a town of a couple of thousand will make a BIG difference next time Boko Haram comes around. Gee, what took him so long? IN Pennsylvania, the man arrested in soap/cocaine mix-up sues the cops, as reported by the SanFran Chronicle “A New York man who spent 29 days in jail after Pennsylvania state police mistook homemade soap for cocaine has filed a lawsuit. The Allentown Morning Call reports Alexander Bernstein says he had to pay thousands of dollars in court costs and missed Thanksgiving with his toddler before the charges were dropped. He’s seeking damages exceeding $150,000. [ONLY $150K?] State troopers and the field test manufacturer are named in the suit filed last week. Bernstein was a passenger in a Mercedes-Benz police pulled over for speeding near Allentown in November 2013. Troopers smelled marijuana, searched the car and found packages the driver said was homemade soap, but tested as cocaine. Lab tests later showed it was soap: showing how much you can trust cops to test themselves. Ten little… nine little… Now Jindal, well-liked (and young) governor of Louisiana and East Indian, is quitting, Sky News tells us that he said, “this is not my time,” as he “suspended” his campaign. Too bad: for all his faults he was a whole lot better than most of the crowd. He seems to have been a “true” conservative: willing to endure the slavery of government in personal liberty matters but not in economic matters. Ah! The Tyrant is to bestows knighthoods on sycophants, Tranzis, 1%’ers: the Christian Science Monitor reports this year’s Presidential Medal of Freedom awards: Spielberg, Sondheim, Streisand …the list includes individuals whose contributions range from movies and music to sports and space history. Filmmaker Steven Spielberg, classical musician and conductor Itzhak Perlman, and iconic diva Barbra Streisand will be among the 17 men and women from the arts, public service, and other areas to receive the United States’s highest civilian honor Nov. 24, when [the squatter] will bestow the awards at a White House ceremony. ‘From public servants who helped us meet defining challenges of our time to artists who expanded our imaginations, from leaders who have made our union more perfect to athletes who have inspired millions of fans, these men and women have enriched our lives and helped define our shared experience as Americans,’ he said in a statement. Gag! Seems to me like this granting of honors is a direct violation of the Constitution, as well as being poor practice for a republic. And the idea of accepting something from that squatter is just gross. This entry was posted in Commentary on the News and tagged hoploclasts, international cooperation, knighthoods, Lies, more lies, Nigeria, Politics 2016, Russia, Stupid cop tricks, Syria, Ten Little Indians, War on some drugs. Bookmark the permalink.